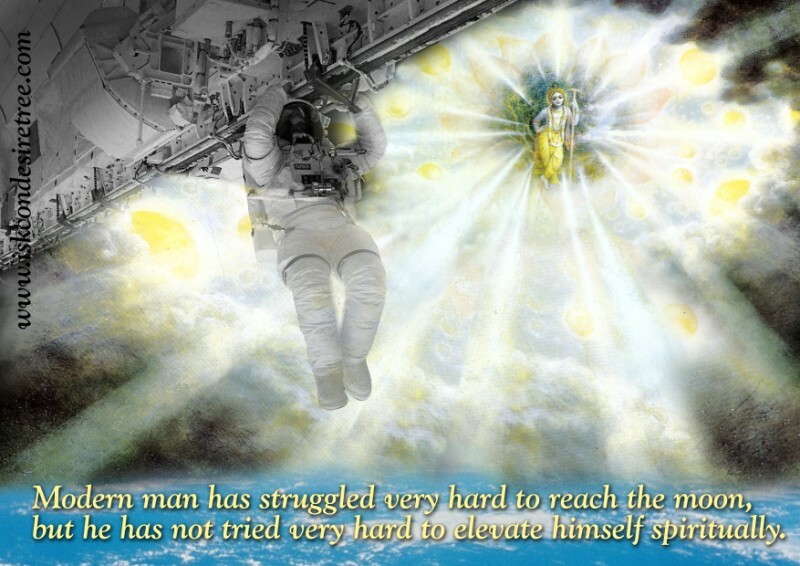 Modern man has struggled very hard to reach the moon, but he has not tried very hard to elevate himself spiritually. 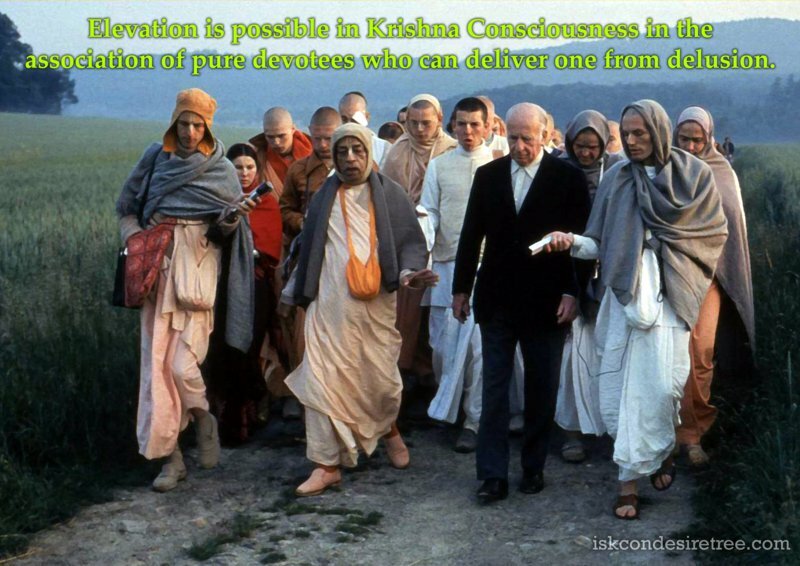 Elevation is possible in Krishna Consciousness in the association of pure devotees who can deliver one from delusion. 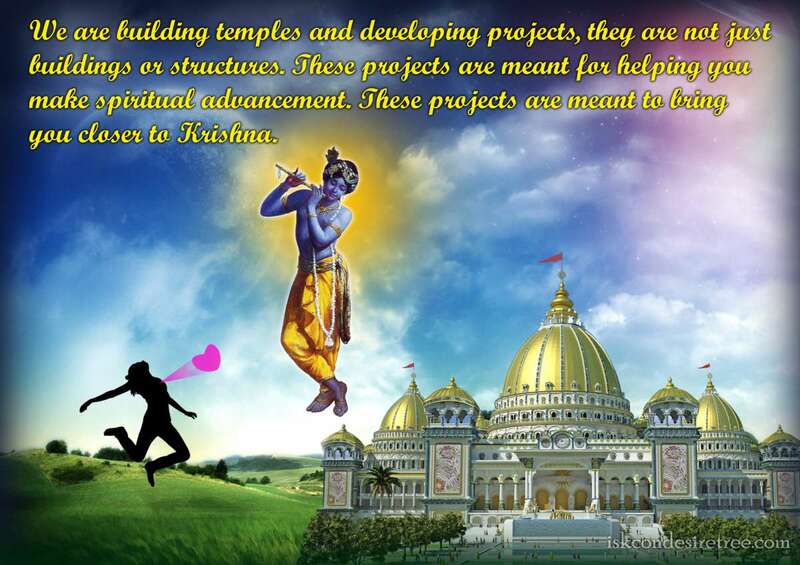 Advancement in spiritual life does not depend on any kind of previous education or qualiﬁcation. 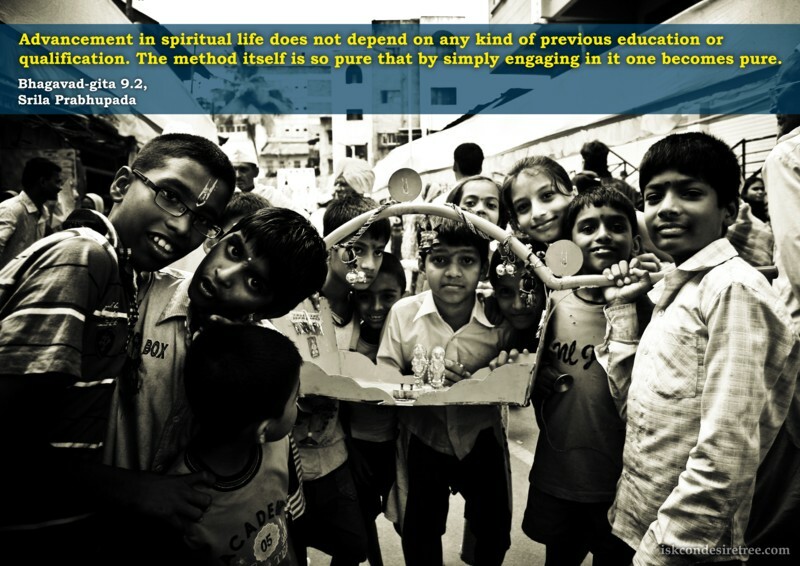 The method itself is so pure that by simply engaging in it one becomes pure.